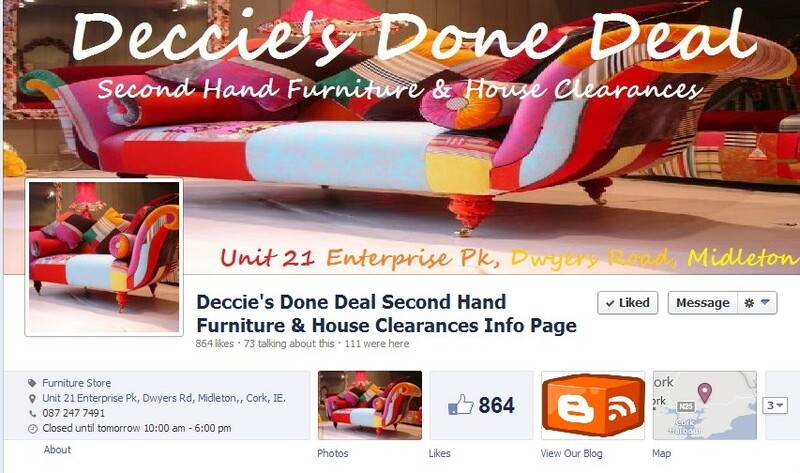 Deccie's Done Deal Second Hand Furniture & House Clearances : New Stock Update 10th May 2013: Bed's, Tables, Chairs, Sinks, Bedside Lockers X8, Kitchen Press. New Stock Update 10th May 2013: Bed's, Tables, Chairs, Sinks, Bedside Lockers X8, Kitchen Press. Check out all our stock and prices on our facebook page.